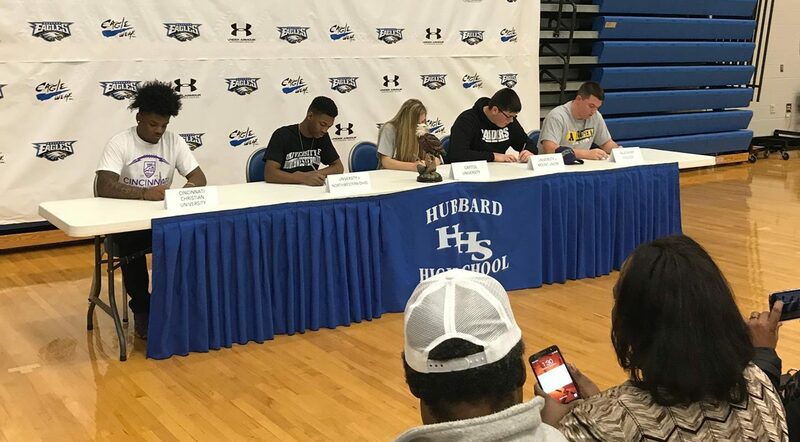 The Hubbard Eagles held their signings today for their student-athletes. We wish them all the best in their future endeavors, and thank them for allowing us to share in their big day! Good luck at the next level, Eagles. We’ll be cheering for you! Derrick Cobbin – University of Northwestern Ohio for Bowling. He is undecided on a major at this time.